GBC Virtual Tour - Want a sneak peek at what the classes and kitchens at George Brown College look like or what graduates have to say about training at GBC? Check this out. George Brown College Chef School is world renown for culinary arts education. 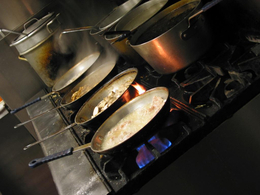 If you want to learn more about becoming a chef check it out. GBC's School of Hospitality and Tourism acts as the bridge to connect students to industry, and exposure to restaurants, hotels, and event planners. An enthusiastic educator and entertainer, Chef David Wolfman is an internationally recognized expert in wild game and traditional Aboriginal cuisine. 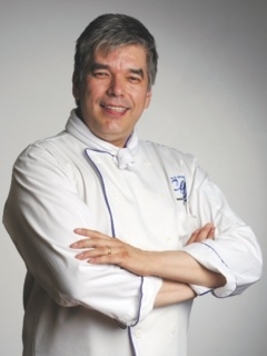 A member of the Xaxli’p First Nation in BC, David Wolfman is a classically trained Chef, Culinary Arts Professor at George Brown College of Applied Arts and Technology in Toronto (for over 20 years now), and Executive Producer and Host of the popular Cooking with the Wolfman™ television program. This show features David’s signature “Indigenous Fusion: Traditional Foods with a Modern Twist” and airs on FNX (First Nations Experience) and NativeFlix in the US. The show aired on APTN (Aboriginal Peoples Television Network) in Canada for 18 years. David lives in Toronto with his wife and business partner, Marlene Finn. Qualifications for employment in any industry is based on differing levels of knowledge, skill, and experience. In the culinary field, one can acquire qualifications through high school courses, industry specific courses, public education courses (post secondary programs), and apprenticeship training. David personally chose to study culinary arts at George Brown College of Applied Arts and Technology, in downtown Toronto, in 1977, in a three year apprenticeship program which included basic and advanced culinary skills programs at the College and several work placements in established hotels and restaurants before becoming a certified chef. The Culinary Arts program at George Brown College continues to innovate and grow in culinary training and is internationally recognized for its superior program offerings, industry partnerships, and graduate employment rate. 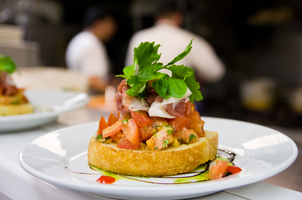 In addition to chef training, GBC offers programs in hospitality and tourism service. Click here to learn more about the training available at George Brown College.